Research interests include interdisciplinary curriculum, curriculum integration, and teacher education. Administratively, Lynne performs the duties of conference coordination, program design and management, accounting and bookkeeping, archive maintenance, accreditation review, and organizational support. Lynne has prior experience as a public school, National Board Certified, Language Arts Teacher and has provided extensive service in early adolescent through adult classroom teaching, teacher supervision, mentoring, and advising. Dr. Bailey has served as a teacher educator at the university level at both traditional brick and mortar and online university environments. His research interests include: historical perspectives as a context for learning science and math; self-efficacy of teachers, students, and practitioners in STEM; nature of science; constructivist learning environments; and inquiry-based learning instruction in STEM fields including Polycyclic Inquiry Approach to science education of gifted students. Dr. Pecore also serves as Associate Professor of STEM Education at University of West Florida where he teaches courses related to STEM education and teaching and learning. Dr. Feldman is able to leverage knowledge and experience gained as a biomedical research and production scientist to provide and support IT solutions for a wide range of clients. As an enterprise scale systems administrator he has built and managed data centers for a large academic health sciences facility supporting the education, research, and healthcare missions. Dr. Feldman has extensive experience with scientific computer applications including image analysis, linear and nonlinear modeling, molecular biology, laboratory automation and managing LAN/WAN systems in a scientific environment. He also has a wide range of experience in automated process control and electronic record keeping in GLP/GMP environments. Wesley Thompson has an extensive background in Animal Science and served on the AALAS Education Committee for the American Association for Laboratory Science. He has expertise in laboratory and habitat design and installation. He is interested in programming which promotes intergenerational learning in the arts and science with a focus on increasing scientific literacy through supplemental science education and providing mechanisms to facilitate the translation of biomedical research. He has facilitated local science education partnerships and has co-developed science educational programming for gifted students. Alice Murphy has extensive mixed media experience and advises on the multi-disciplinary integration of Art and Science education. Dr. Morris research interests span a variety of marine organisms from whales to lobsters and she has extensive experience as an electro-neuro-physiologist. She has taught biological classes at both the high school and college level as well as through public education and camp programs. The Institute for Biomedical Philosophy is Dedicated to University Support Services and Partnership Development. In house programs focus on science education, scientific literacy, broadening participation and mechanisms to facilitate the translation of scientific research. 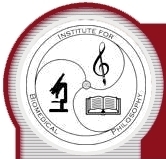 The Institute for Biomedical Philosophy promotes enhancement of academic support and research opportunities for underrepresented minorities including examining strategies that support student success in research as well as the utilization of intergenerational learning in the arts and sciences in order to increase scientific literacy. Frantz KJ, Demetrikopoulos MK, Britner SL, Carruth LL, Williams BA, Pecore JL, DeHaan RL, Goode CT. A Comparison of Internal Dispositions and Career Trajectories after Collaborative versus Apprenticed Research Experiences for Undergraduates. CBE Life Sci Educ. 2017 Spring;16(1). pii: ar1. doi: 10.1187/cbe.16-06-0206. PubMed PMID: 28130268. Pecore JL, Kirchgessner, ML, Demetrikopoulos MK, Carruth LL, Frantz KJ. Formal Lessons Improve Informal Educational Experiences: The influence of prior knowledge on student engagement. Visitor Studies. 2017; 20(1):89-104. Pecore JL, Demetrikopoulos MK. Interplay of Creativity and Giftedness in Science . Demetrikopoulos MK, Pecore JL, editors. Netherlands: Sense Publishers; 2016. Introduction for the interplay between creativity and giftedness in science; p.ix-xii. Bailey LM, Morris LG, Thompson WD, Feldman SB, Demetrikopoulos MK. Interplay of Creativity and Giftedness in Science. Demetrikopoulos MK, Pecore JL, editors. Netherlands: Sense Publishers; 2016. Historical contribution of creativity to development of gifted science education in formal and informal learning environments ; p.3-13. Interplay of Creativity and Giftedness in Science . Demetrikopoulos MK, Pecore JL, editors. Netherlands: Sense Publishers; 2016. Science Opportunities to Study Marine Food Webs, in Citizen Science: 15 Lessons That Bring Biology to Life, 6-12 Nancy Trautmann, Jennifer Fee, Terry M. Tomasek, and NancyLee R. Bergey (editors), p.173-184. NSTA press. Pecore, J. L., Shelton, A. (2013). Challenging preservice students' teaching perspectives in an inquiry-focused program The Journal of Mathematics and Science: Collaborative Explorations , 13, 57-77. Goode, C. T., Britner, S. L., Gagne, P. E., Pecore, J. L., Demetrikopoulos, M. K., Williams, B. A., Carruth, L.L., DeHaan, R.L., Frantz, K. J. (2012). Scientific research self-efficacy among undergraduates: Current contexts and approaches for measurement. In S. Britner (Ed. ), Self-Efficacy in School and Community Settings. Hauppauge, NY: Nova Science Publishers, Inc.
Britner, S. L., Williams, B. A., Pecore, J. L., Gagne, P.,Demetrikopoulos, M. K., Poh, R., Carruth, L.L., Goode, C. T., DeHaan, R. L., Frantz, K. J. (2012). Portraits of science self-efficacy: Four undergraduate women in a summer research experience. Journal of Women and Minorities in Science and Engineering. Pecore, J. L. (2012). Beyond beliefs: Teachers adapting problem-based learning to preexisting systems of practice. Interdisciplinary Journal of Problem-based Learning, 7(2), 1-27. Pecore, John L., (2009). A Case Study of Secondary Teachers Facilitating a Historical Problem-Based Learning Instructional Unit. 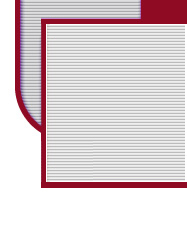 Middle-Secondary Education and Instructional Technology Dissertations. Paper 52. Pecore, J., Demetrikopoulos, M.K., Frantz, K.J., (2007) Student-Centered Deliberations of Ethical Care and Use of Animals, The American Biology Teacher, 69(7), 416-421. Pecore, J. L., Christensen, B., Mobley, H., Hanna, N. (2007). Earth core: Enhancing delivery of geoscience content in a diverse school system during times of changing state standards. Journal of Geoscience Education, 55(6), 589-595. Demetrikopoulos, M.K., Datta, P., Pecore, J., Lamas, C.,Thompson, W.D., Wright, M., and Morris, L.G. (2007) Oceanography for Pre-K-Third Grade Current: The Journal of Marine Education,23(2), 42-46. Holtzclaw, JD, LG Morris, R Pyatt, CS Giver, J Hoey, JK Haynes, RB Gunn, D Eaton, and A Eisen, (2006). FIRST: A model for developing new science faculty. Journal of College Science Teaching, 34(6):24-29. Demetrikopoulos, M.K., Pecore, J., Rose, J.D., L.G. Fobbs, A.J., Johnson, J.I. and Carruth, L.L., (2006) Build a Brain Project: Students Design and Model the Brain of an Imaginary Animal, Science Scope, 29, 28-31. Frantz, K.J., DeHaan, R.L., Demetrikopoulos, M.K., and Carruth, L.L. (2006) Routes to Research for Novice Undergraduate Neuroscientists, Cell Biology Education-Life Sciences Education, 5, 175-187. Morris, L.G. and Demetrikopoulos, M.K. (2006) Mollusk Mania! A Comparison Game with Three Classes of Mollusks, Current: The Journal of Marine Education, 22(3), 32-39. Demetrikopoulos, M.K., Morris, L.G. Fobbs, A.J., and Johnson,J.I., (2005) The Marine Mammal Brain Game, The Science Teacher, July/August, 24-29. Demetrikopoulos, M.K. and Morris, L.G., (2004) Crabby Behavior at the Beach: A Comparison of Hermit, Fiddler and Blue Crabs, Current: The Journal of Marine Education, 20(2), 28-34. Rose, J.D., Zardetto-Smith, A.M., Mu, K., and Demetrikopoulos, M.K. (2004) Reverse your science fair with educational partnerships Science Scope, 27(6), 16-19. Demetrikopoulos, M.K., Parlier, D., Calwell, H.K., Rose, J.D., Frantz, K.J., and Carruth, L.L. (2004) Flexible Professional Development, Science Scope, 27(5), 16-19. Parlier D.,and Demetrikopoulos, M.K. (2004) A Touch of Neuroscience, Science Scope, 28(2), 48-50. Flaherty, C. F., Grigson, P. S., & Demetrikopoulos, M. K. (1987) Effect of clonidine on negative contrast and novelty-induced stress. Pharmacology Biochemistry and Behavior, 27, 659-664. Demetrikopoulos, M. K., (1989) Effect of insulin dose, CS exposure time, and environmental novelty on the expression of glycemic conditioning. Masters Thesis, Rutgers University, New Brunswick, NJ. Flaherty, C. F., Grigson, P.S., Demetrikopoulos, M. K., Weaver, M.S., Krauss, K.L., & Rowan, G.A. (1990) Effect of Serotonergic drugs on negative contrast in consummatory behavior. Pharmacology Biochemistry and Behavior, 36, 799-806. Keller, S. E., Schleifer, S. J., & Demetrikopoulos, M. K. (1991) Stress-induced changes in immune function in animals: Hypothalamo-pituitary-adrenal influences. In R. Ader, D.L. Felton, & N. Cohen (Eds.) Psychoneuroimmunology 2nd Ed. (pp. 771-787) San Diego:Academic Press. Siegel, A., & Demetrikopoulos, M. K. (1993) Hormones and Aggression. In J. Shulkin (Ed.) Hormonally Induced Changes in Mind and Brain (pp. 99-127) San Diego:Academic Press. Howell, D. M., S. B. Feldman, P. Kloser, and P. Fitzgerald-Bocarsly. (1993). Decreased Frequency of Natural Interferon Producing Cells in Peripheral Blood of Patients With the Acquired Immune Deficiency Syndrome. Clinical Immunology and Immunopathology 71:223-230. Feldman, S. B., M. Ferraro, H.-M. Zheng, N. Patel, S. Gould-Fogerite, and P. Fitzgerald-Bocarsly. (1994). Viral induction of low frequency IFN-alpha producing cells. Virology 204:1-7. Demetrikopoulos, M.K. (1994) The Role of the Periaqueductal Gray in Stress-Induced Immune Suppression. Doctoral Dissertation, UMDNJ, Newark, NJ. Demetrikopoulos, M.K., Siegel, A., Schleifer, S.J., Obedi, J., & Keller, S.E. (1994) Electrical Stimulation of the Dorsal Midbrain Periaqueductal Gray Suppresses Peripheral Blood Natural Killer Cell Activity. Brain, Behavior, and Immunity, 8, 218-228. Feldman, S. B., M. C. Milone, P. Kloser, and P. Fitzgerald-Bocarsly. (1995). Functional deficiencies in two distinct IFN-alpha producing cell populations in PBMC from patients with HIV disease. Journal of Leukocyte Biology 57:214-220. Bartlett, J. A., Schleifer, S.J., Demetrikopoulos, M.K., & Keller, S.E., (1995) Immune Differences in Children With and Without Depression. Biological Psychiatry, 38, 771-4. Weiss, J. M., Demetrikopoulos, M.K., West, C.H.K., & Bonsall, R.W. (1995/1996) Hypothesis Linking the Noradrenergic and Dopaminergic Systems in Depression. Depression, 3, 225-245. Bartlett, J.A., Demetrikopoulos, M.K., Schleifer, S.J., & Keller, S.E. (1996) Stress, Depression, Mood, and Immunity. In C.R. Pfeffer (Ed.) Severe Stress and Mental Disturbance in Children, American Psychiatric Press. Demetrikopoulos, M.K., Keller, S.E., & Schleifer, S.J. (1996) StreBeffekte auf Immunfunktionen bei Nagetieren (Stress Effects on Immune Function in Rodents). In M. Schedlowski, & U. Tewes (Eds). Psychoneuroimmunologie, Spektrum Akademischer Verlag, Heidelberg. Bartlett, J.A., Demetrikopoulos, M.K., Schleifer, S.J., & Keller, S.E. (1997) Phagocytosis and Killing of Staphylococcus aureus: Effects of Stress and Depression in Children. Clinical & Diagnostic Laboratory Immunology, 4, 362-366. Morris, LG and SL Hooper, (1997). Muscle response to changing neuronal input in the lobster (Panulirus interruptus) stomatogastric system: spike number vs. spike frequency dependent domains. J Neurosci, 17:5956-5971. Morris, LG and SL Hooper, (1998). Muscle response to changing neuronal input in the lobster (Panulirus interruptus) stomatogastric system: slow muscle properties can transform rhythmic input into tonic output. J Neurosci, 18:3433-3442. Bartlett, J.A., Schleifer, S.J., Demetrikopoulos, M.K., Delaney, B.R., Shiflett, S.C., & Keller, S.E. (1998) Immune Function in Healthy Adolescents. Clinical & Diagnostic Laboratory Immunology, 5, 105-113. Weiss, J.M., Bonsall, R.W., Demetrikopoulos, M.K., Emery, M.S., & West, C.H.K. (1998) Galanin: A significant role in depression?. Annals of the New York Academy of Sciences, 863, 364-382. Quan, N., Demetrikopoulos, M.K., Zhang, Z., Kitson, R.P., Chambers, W.H., Goldfarb, R.H., & Weiss, J.M. (1999) Evidence for involvement of B Lymphocytes in the surveillance of lung metastasis in the rat. Cancer Research, 59, 1080-1089. Demetrikopoulos, M.K., Keller, S.E., & Schleifer, S.J. (1999) Stress Effects on Immune Function in Rodents. In M. Schedlowski, & U. Tewes (Eds). Psychoneuroimmunology: An Interdisciplinary Introduction,(259-275) Kluwer Academic/Plenum Press. Demetrikopoulos, M.K. (2000) Metastasization, In G. Fink (Ed.) Encyclopedia of Stress, (Vol 2, 750-753) Academic Press, San Diego, CA. Weiss, J.M., Demetrikopoulos, M.K., McCurdy, P.M., West, C.H.K., & Bonsall, R.W. (2000) Depression seen through an animal model: An expanded hypothesis of pathophysiology and improved models. In R.J. Davidson (Ed. ).Anxiety, Depression, and Emotion, Oxford University Press. Poyner, D., Cox, H., Bushfield, M., Treherne, M., & Demetrikopoulos, M.K. (2000) Neuropeptides in drug research Progress in Drug Research 54, 121-149. Demetrikopoulos, M.K., Weiss, J.M., & Goldfarb R. Environmental factors and disease: Stress and cancer. (2000) In B.S. McEwen (Ed.) Handbook of Physiology Section 7: The Endocrine System Vol IV: Coping with the Environment., Oxford University Press. Demetrikopoulos, M.K., Goldfarb, R.H., Zhang, Z., & Weiss, J.M. (2000) Blood level of B and CD4+ lymphocytes measured before induction of an experimental tumor in rats predicts tumor progression and survival Cancer Epidemiol Biomarkers Prev. 9(6), 609-17. Huerkamp MJ, Benjamin KA, Zitzow LA, Pullium JK, Lloyd JA, Thompson WD, Webb SK, Lehner ND. (2000) Fenbendazole treatment without environmental decontamination eradicates Syphacia muris from all rats in a large, complex research institution. Contemp Top Lab Anim Sci. May;39(3):9-12. Morris, LG, JB Thuma, SL Hooper, (2000). Muscles express motor patterns of non-innervating neural networks by filtering broad-band input. Nature Neurosci, 3(3):245-250. Morris, LG and SL Hooper, (2001). Mechanisms underlying stabilization of temporally summated muscle contractions in the lobster (Panulirus interruptus) pyloric system. J Neurophysiol, 85:254-268. Feldman, S., Stein, D., Amrute S., Denny, T., Garcia, Z., Kloser, P., Sun, Y., Megjugorac N., Fitzgerald-Bocarsly, P.(2001). Decreased IFN-alpha production in HIV infected patients correlates with numerical and functional deficiencies in circulating type 2 dendritic cell precursors. Clinical Immunology 101:201-210. Huerkamp, M.J.,Thompson, W.D., and N.D.M. Lehner. (2003). Failed air supply to individually ventilated caging system causes acute hypoxia and mortality of rats. Cont Top Lab Anim Sci 42(3): 44-5. Thuma, JB, LG Morris, AL Weaver, and SL Hooper, (2003). Lobster (Panulirus interruptus) pyloric muscles express the motor patterns of three neural networks, only one of which innervates the muscles. J Neurosci, 23(26):8911-8920. Demetrikopoulos, M.K. Siegel, A. Aggression and Immune Function, In A. Siegel, Neurobiology of Aggression and Rage (2004) CRC Press. Demetrikopoulos, M.K. Siegel, A. Aggression and Hormonal Status, In A. Siegel, Neurobiology of Aggression and Rage (2004) CRC Press. Weiss JM, Boss-Williams KA, Moore JP, Demetrikopoulos MK, Ritchie JC, West CH. (2005) Testing the hypothesis that locus coeruleus hyperactivity produces depression-related changes via galanin., Neuropeptides.39(3):281-7. Norris, BJ, AL Weaver, LG Morris, A Wenning, PA Garcia, RL Calabrese, (2006). A central pattern generator producing alternative outputs: temporal pattern of premotor activity. J Neurophysiol, 96(1):309-326. Demetrikopoulos, M.K. (2007) Metastasization, In G. Fink (Ed.) Encyclopedia of Stress 2nd edition, Academic Press, San Diego, CA. Editors: Melissa K. Demetrikopoulos Ph.D. and John L. Pecore Ph.D. Objective of the Book: This book explores the interplay of creativity and giftedness in the teaching and practice of science. While it is well established that successful scientists are intellectually gifted, the interaction of creativity with giftedness in the scientific arena is less well described. This is a critically important area since it has been suggested that creativity is what separates good scientists from truly great scientists who can open up new avenues of investigation.